Learning how to authenticate coins in your coin collection is an essential skill. Telling frauds or fakes from genuine or error coins requires knowledge, experience and research. When authenticating coins use a visual inspection, which can immediately show up any blatant fake. Any two-headed coin, for example will not be an error, but a fake. Verify this by holding a genuine coin in one hand and tapping it with another of the same denomination. The two-headed fake will have a dull thudding sound, as a result of the glue bonding the halves of the fake together. A genuine coin will give off a metallic twang. That, and the fact that no legitimate mint ever produced a two-headed or two-tailed coin, should be proof enough that the coin is a fake. Also, look at the rim. If it isn’t fluted properly (the roughened edge of a coin), it’s probably a fraud. Only wear through ages of everyday use will smooth a fluted edge. More sophisticated tests are sometimes easy to apply in more difficult authentification cases. A genuine coin is made of the correct type and density of metal. A silver dime is made of silver, a gold dollar is made of at least 14kt gold. Coins produced completely of the right metal or alloy will differ in weight and density. That means some simple tests can determine the lack of coin authenticity if they are frauds. Each genuine coin will have a standard mass, easily measured with a good quality balance. Each metal or alloy has a standard density that can be measured by simple tests devised as far back as Archimede’s time, 2500 years ago. If your coin is electroplated, it will fail the weight and/or density tests. Some care is required, though as mints have been known to change metals from time to time. The discontinuance of all silver dimes in 1964 is a famous example. The 1982 Lincoln penny, though is a less obvious example. Some were zinc, others copper. Copper cents have a mass of 3.11 grams, zinc cents are only 2.5 grams. Zinc and copper coins also have a different sound when dropped on a hard surface, such as a tile countertop. Describing the difference is impossible, but testing some coins will quickly educate your ear to the difference. 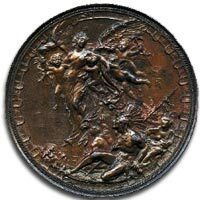 To authenticate more valuable coins, collectors should take advantage of a professional grading service. Companies such as PCGS (Professional Coin Grading Service) or NGC (Numismatic Guaranty Corporation) offer authentication services. Dealers, too, frequently offer grading services though sometimes they outsource the job to one of the above companies. produce a high-value fraud that would pass those tests would be so expensive that it’s worth it only in the case of very rare and valuable coins. But computerized catalogs and the widespread knowledge of coins at that level means it takes only a few minutes to find out the current status of most of them. The ownership and history of the top 100 coins by value in the world are pretty well cataloged by now. Learning how to authenticate coins is part of the fun of collecting coins, as is doing the research to evaluate their worth. 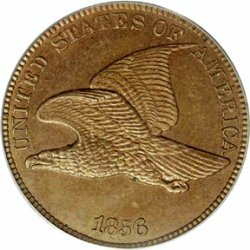 Computers and the internet have made learning to authenticate coins easier but no less exciting.